The slope has eroded badly in the last hundred years, but some maintain they can still see the eye sockets and the nose bridge. Regardless, it should be noted that while the Bible locates the crucifixion at the “place of the skull,” it never says that it was on a hill, nor that this place bore the resemblance of a skull. It also could be asked if this hill which resembles a skull looked the same 2,000 years ago. 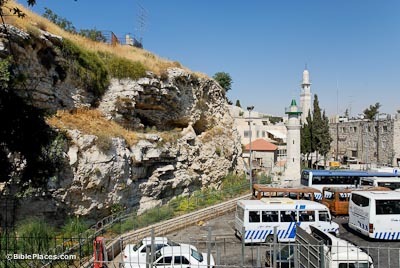 This tomb is the place believed by many to be the resting place of Jesus. 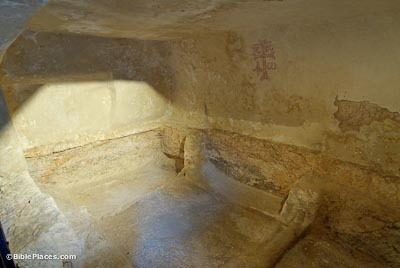 Some archaeologists question the authenticity of the tomb because typological features suggest that it is a tomb originally hewn in the time of the Old Testament and not a “new tomb” as specifically stated in Scripture. The Garden Tomb (The Garden Tomb [Jerusalem] Association) The official website. Learn more about the grounds in the “Garden Tour” link. Garden Tomb (Christian Travel Study Program) Presents the merit of the site as a better environment for meditation and worship, but holds to the Holy Sepulcher as the more probable location for the events of the cross. 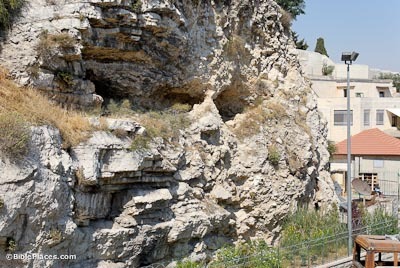 The Garden Tomb (Daily Bible Study) General information about the area with links to topics related to biblical characters, the process of the crucifixion, and the life of Christ. The Garden Tomb (Orange Street Congregational Church, London) An interview with the keeper of the tomb in 1965. 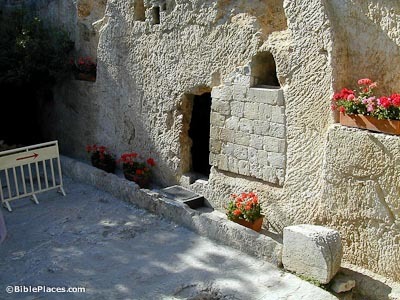 The Garden Tomb (Good News Ministries) Focuses on the more spiritual aspects of the resurrection, using the Garden Tomb as a guide. Garden Tomb Cross and the Place of the Skull (Personal Page) One visitor’s arguments for the Garden Tomb’s authenticity. 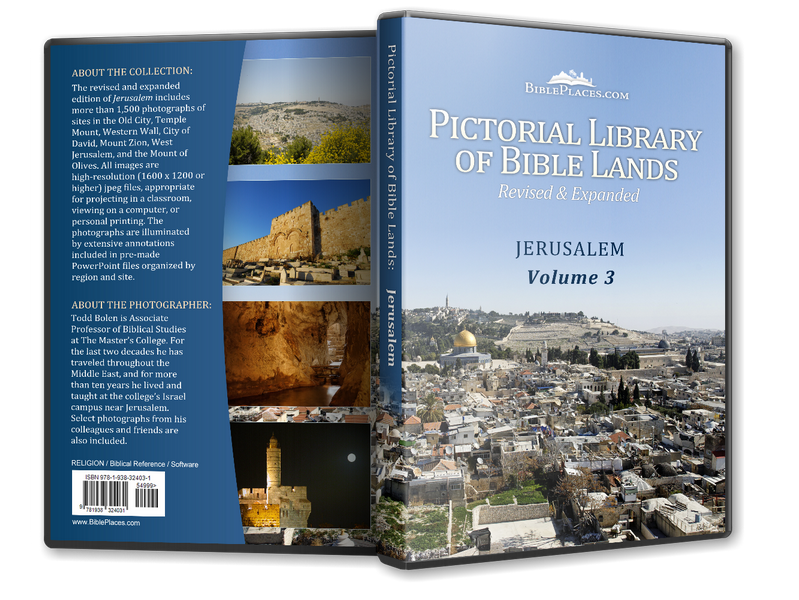 Garden Tomb (Virtual Travel, Israel Diary) Features an online video tour accompanied by text describing the meditations of another pilgrim at the peaceful garden tomb. The Garden Tomb Travel Guide (Kaitholil) An informative and illustrated description of the tomb and the garden, including a 4-minute video of the site.